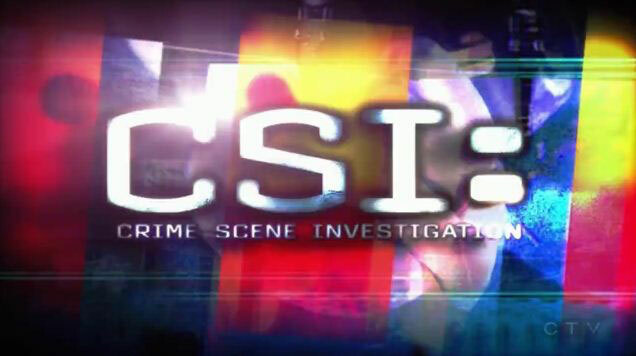 The several television programs under the CSI (Crime Scene Investigation) brand are crime dramas depicting how sophisticated forensic tools are used to solve cases. Because such tools are based on science, they are only as good as the science on which they rest. How good is the science? As the references listed below make plain, much of the forensics depicted in television programs is at best fanciful, and real-life forensics are too often not much better. All credible claims made from forensics depend on “demonstrable uniqueness.” The evidence from the crime scene — strands of hair, bite marks, tire tracks, handwriting, tool marks, markings on bullets or cartridge casings, or other physical evidence — must be definitively linked to a single perpetrator or source. For example, a spent cartridge must be accurately linked to a single firearm. The proper collection, storage, and analysis of DNA samples can meet this scientific requirement and serve, therefore, as the poster child for sound forensics. But the issues can be subtle. For example, the analysis of samples that have DNA from several people can be a significant challenge. There also can be serious difficulties when the amount of DNA available for analysis is very small. Despite these problems in practice, DNA identification is the gold standard. Other popular forensic methods are not even close. At the most fundamental level, the science is too often just not there. A National Research Council report completed in 2009 (page 7) states, “With the exception of nuclear DNA analysis… no forensic method has been rigorously shown to have the capacity to consistently, and with a high degree of certainty, demonstrate a connection between evidence and a specific individual or source.” The very recent report (2016) from President’s Council of Advisors on Science and Technology (PCAST) is only a bit more sanguine. Consider fingerprints as a familiar example. Fingerprints taken from the crime scene must match those of a single individual and no other individuals; the match must be scientifically convincing, and a claim that there can be no other matches must be scientifically convincing as well. In practice, this means that both claims will have a very low probability of being wrong. Even if in principle such claims from fingerprints could be made, there can be daunting practical difficulties. Latent fingerprints are often smeared, incomplete or collected from surfaces that damage print fidelity. The result can be highly unreliable determinations. The “examiners” who make these determinations can be poorly trained and can inadvertently introduce a variety of cognitive biases. Proficiency testing is often inadequate. Sloppy procedures are all too common. And there can be pressure on individuals providing forensic evidence to spin their interpretations of the results. This is not to say that physical evidence is useless. Even weak physical evidence can sometimes rule out potential suspects. For example, truck tire tracks might narrow the list of suspects to those who have access to pickups. Blond strands of hair found at the crime scene may support other evidence pointing to a particular perpetrator with blond hair. Shell casings from an AR-15 may rule out the use of a handgun. Problems arise when claims are made that go beyond what is scientifically defensible. There are efforts underway to improve the science. For example, modern pattern recognition software can, in principle, make more reliable fingerprint identifications than humans. There are also efforts underway to better train and supervise the individuals who draw inferences from physical evidence. But there must also be the political will and funding to improve forensic science and forensic practice. This means that those who use forensics need to be committed to the enterprise, even if it challenges their conventional procedures. Ballistic Imaging (2008) National Academies of Sciences, Engineering, Medicine, National Academies Press, Washington, D.C.
Saks, M.J. and J.J. Koehler (2005) “The Coming Paradigm Shift in Forensic Identification Science.’’ Science 309: 892-895. Support for Forensic Science Research: Improving the Scientific Role of the National Institute of Justice. (2015) National Academies of Sciences, Engineering, Medicine, National Academies Press, Washington, D.C. Strengthening Forensic Science in the United States: A Path Forward. (2009) National Research Council, National Academies Press, Washington, D.C.
Saks, M.J. and J.J Koehler (2005) "The Coming Paradigm Shift in Forensic Idenitfication Science." Science 309: 892-895. Support for Forensic Science Research: Improving the Scientific Role of the National Institute of Justice. (2015). National Academies of Sciences, Engineering, Medicine, National Academies Press, Washington, D.C.
Do We Incarcerate Too Many People?